Gold is the most widely used precious metal to make jewelry. In forex trading gold plays significant role, and every traders must have the knowledge about the role of gold in forex trading. The gold price in international market primarily determined by the law of demand and law of supply. Unlike the currency market, no central bank is responsible for the policy formation in the gold market. The demand of gold is hardly understood by the traders, but the supply of gold can be easily understood, tracking the news regarding gold production. Gold is considered as the safe heaven by the traders because it is not affected by the global risk factors like war. During the war or any other global depression, the gold price generally go up. We already know that central banks control the money supply in the economy by imposing reserve requirement, purchasing security/bond, and changing interest rate. Purchasing gold is another tool for the central bank to increase the money supply in the economy, and to reduce the economic risk. As a part of monetary policy central banks can buy gold to increase the money supply in the economy and sell gold to decrease the money supply in the economy. Gold and US Dollar stand against each other because they both are reserved by the most nations of the world. When the US economy is under depression, the investors and central banks consider gold as a safe heaven investment opportunity. That is why most of the major currency pairs that contain USD, are correlated with gold. 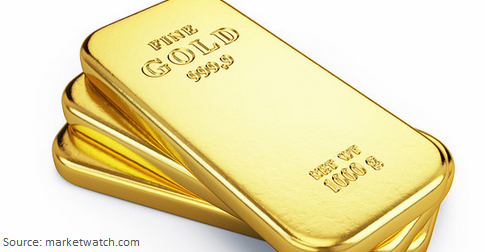 The economy that has higher gold production or reserve are positively correlated with gold. Though United State has big gold reserve, but still USD is negatively correlated with gold because gold is also a reserve metal as USD is a reserve currency. In the table below, the top five gold reserves and top five gold producers are shown. Almost all currencies of the developed nations are positively correlated with gold except US Dollar. 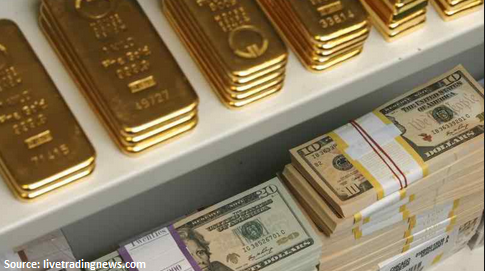 The geopolitical news that increase the risk for United States can push the gold up. The decisions to buy or sell the gold by Central Banks can increase or decrease the demand or supply of gold in the international market, hence increase or decrease the price of gold. Dear Traders, This post explains the most basic things about gold and currency to be studied by the forex traders. You are invited to join the discussion with other traders, dropping comments below. You can also subscribe yourFXguide entering your email address into the subscription box to receive the updates. there is NO gold in fort knox. The US gold "reserves" are NON Existent...making the US dollar a fiat currency with nothing backing the value. The military is the force backing the dollar. Anyone or any country that disobeys the rule of the US or its foreign policy - gets a visit by the military. I like their forex-copy system. You can copy the trades of successful traders and earn money even if you're newbie. And I'd like to say that their trading conditions are very suitable for me. Does the gold rates also affect the stock market? You make so many great points here that I read your article a couple of times. Your views are in accordance with my own for the most part. This is great content for your readers. 90%+ Accuracy on all VIP trades.